The Cleveland, Cincinnati, Chicago and St. Louis Railway, also known as the Big Four Railroad and commonly abbreviated CCC&StL, was a railroad company in the Midwestern United States. It operated in affiliation with the New York Central system. Its primary routes were in Illinois, Indiana, Michigan, and Ohio. At the end of 1925 it reported 2,391 route-miles and 4,608 track-miles; that year it carried 8180 million net ton-miles of revenue freight and 488 million passenger-miles. The railroad was formed on June 30, 1889, by the merger of the Cleveland, Columbus, Cincinnati and Indianapolis Railway, the Cincinnati, Indianapolis, St. Louis and Chicago Railway and the Indianapolis and St. Louis Railway. The following year, the company gained control of the former Indiana, Bloomington and Western Railway (through the foreclosed Ohio, Indiana and Western Railway and through an operating agreement with the Peoria and Eastern Railway). 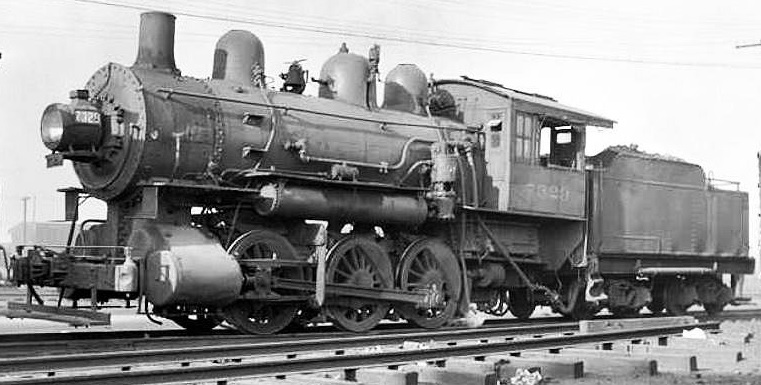 In 1906 the Big Four was acquired by the New York Central Railroad, which operated it as a separate entity until around 1930. The Big Four's lines were later incorporated into Penn Central in 1968 with the merger of New York Central and the Pennsylvania Railroad. Penn Central declared bankruptcy in 1970, and in 1976 many of Big Four's lines were included in the government-sponsored Conrail. Conrail was privatized in 1987 and in 1997 was jointly acquired by CSX and Norfolk Southern. The railroad was headquartered in Indianapolis, Indiana, in the Chesapeake Building at 105 S. Meridian Street. The building was constructed for the railroad in 1929 and was also known as the Big Four Building. In 2007 this multi-story structure became a Hampton Inn hotel. Between 1904 and 1908 the railroad constructed a repair shop for steam locomotives, and passenger and freight cars in Beech Grove, Indiana. Amtrak purchased the facility, now known as the Beech Grove Shops, from the bankrupt Penn Central in 1975. The railroad once operated a terminal at Bellefontaine, Ohio which included the largest roundhouse in use at that time between New York City and St. Louis, Missouri. Conrail closed the Bellefontaine terminal in 1983, and its roundhouse was dismantled. A large yard facility known as Big Four Yards is located in Avon, Indiana along the line's tracks, now owned and operated by CSX. In 1895 the railroad acquired what became known as the Big Four Bridge across the Ohio River at Louisville, Kentucky, thereby giving it access to that city. Use of the bridge for railroad purposes ceased by 1968, and it sat abandoned until work began by 2006 to convert it to use by pedestrians and bicyclists. February 22, 1890, The Cleveland Cincinnati Chicago and St Louis Railway Company entered into a contract with The Peoria and Eastern Railway Company in which The Peoria and Eastern Railway Company surrendered to The Cleveland Cincinnati Chicago and St Louis Railway Company the operation and control of its railroad described in this contract by segments as the "Illinois part" extending from Pekin to the Illinois State line, and as the "Indiana part" extending from the Illinois-Indiana State line to Indianapolis. This contract was made subject to: The $1,000,000 mortgage of the Indiana Bloomington and Western Railway Company, The $500,000 mortgage of the Ohio Indiana and Western Railway Company, The $10,000,000 consolidated mortgage. Also the agreement is to be made prior to the mortgage of $4,000,000 which is to be dated February 22, 1890, to secure certain income mortgage bonds to be issued. This contract granted the use and operation of the Illinois part to The Cleveland Cincinnati Chicago and St Louis Railway Company. It assigned and transferred during the period of the agreement and subject to the first consolidated mortgage and the prior mortgages, the leasehold in the Indiana part, and also the rolling steel, and equipment of the Peoria Company. The term extended for a period of 50 years from April 1, 1890, and for such further time thereafter as The Cleveland Cincinnati Chicago and St Louis Railway Company might elect. The consideration to be paid by The Cleveland Cincinnati Chicago and St Louis Railway Company was as follows: Make good any deficiency which may it iny time occur in the fund necessary for tha payment of interest on the two series of bonds secured by the prior mortgages; also on the first consolidated mortgage; also all taxes, after devoting to such payment of interest the net income derived from the purchase-money lien of $5,000,000 and the net earnings derived from the "Indiana part", and the "Illinois part" of the railroad. Guaranteed that the net earnings and income from the said three sources so actually applied to the payment of said interest would not be less than $412,200 in each year of the 50 years. Guaranteed an increase in income of $40 for each bond of the consolidated mortgage issued in excess of $9,430,000. Authorized the transfer of its covenant to the trustees of the First Consolidated Mortgage so that its undertaking might be deemed a direct obligation to the trustees as further security under the mortgage. After reimbursing itself out of what shall remain out of the net income not applied for any advances in any previous year with interest at the rate of 6 per cent per annum, is to apply the balance of the net earnings on the income mortgage bonds above referred to; and finally, to pay over any remainder to The Peoria and Eastern Railway Company. 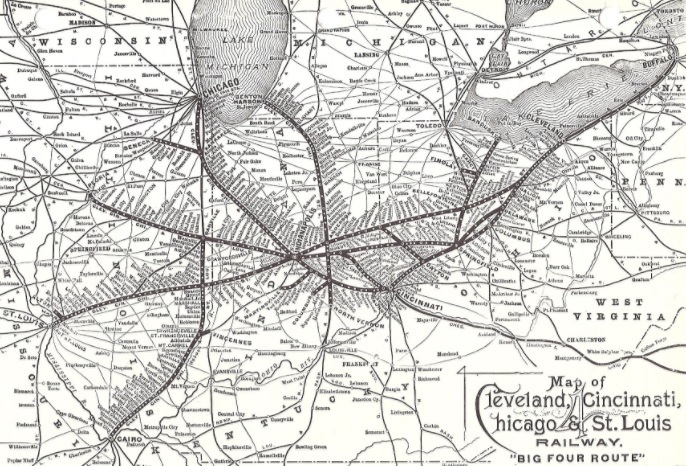 The future net earnings of The Peoria and Eastern Railway Company and the future income of the purchase-money lien are alone to be looked to for reimbursing The Cleveland Cincinnati Chicago and St Louis Railway Company for advances made as above provided, with interest at the rate of 6 per cent per annum. March 15, 1890, Charles H. Coster and Samuel Spencer executed their certain quit-claim deed conveying, quit-claiming and transferring to The Peoria and Eastern Railway Company the segment of railroad theretofore leased by them to The Peoria and Eastern Railway Company, extending from the Illinois-Indiana State line to the tracks of the Indianapolis Union Railway Company in the city of Indianapolis. Said deed recites that the grantors had leased the property conveyed, with the rolling stock and equipment, in perpetuity, to The Peoria and Eastern Railway Company, which said leasehold interest was mortgaged to the Central Trust Company to secure bonds; that The Peoria and Eastern Railway Company, an Illinois corporation, desired to purchase the remaining interests of the railroad so leased to it, and that in consideration of one dollar the grantors have conveyed, quit-claimed and transferred tbesame to The Peoria and Eastern Railway Company, with the proviso, however, that said leasehold interest should not be merged or absorbed in the fee as long as the mortgage of said leasehold interest above recited shall exist. March 25, 1890, The Peoria and Eastern Railway Company and The Cleveland Cincinnati Chicago and St Louis Railway Company assigned to the trustees under two mortgages above noted, the guarantees and covenants in the agreement between the two railroad companies relating to interest on bonds, and also the purchase-money lien as further security for the consolidated bonds and the income bonds of The Peoria and Eastern Railway Company.